Imagine setting off for your holiday in Val di Fassa without the hassle of lugging bulky equipment or the stress of organising everything. 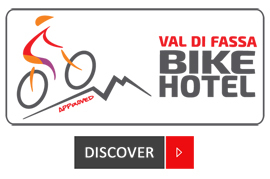 This is the sense of freedom and independence we want you to have and this is why we at the Active Hotel Olympic – our hotel in Val di Fassa – offer the best summer holiday services for sports lovers. Organic, low-calorie and high-energy breakfasts.